THE FBI HAVE SUPER SLEUTHS CRACKING CODES ALL THE TIME. SO IT’S YOUR TURN TO CRACK THIS CODE-HOW GOOD ARE YOU? To reveal the hidden message, click the link at the bottom of this page. But please don’t post or share the answer—let everyone have a chance to give the quiz a try. Robert Murray made his popular Flight Control game for the iPhone and iPad in three weeks at a cost of $50,000. He’s now Australia’s newest high-tech millionaire after selling his company to US game giant Electronic Arts for an estimated $20-$40 million. Separately, an Australian surfer living in London, Phillip McGriskin, 37, sold his online payments company Envoy Services for £70 million ($107 million) to WorldPay this week, netting himself £7 million on his personal stake. Murray’s Melbourne-based Firemint, which now has about 60 employees, produces some of the most popular mobile games including Flight Control, Real Racing and Puzzle Quest. In announcing its acquisition, Electronic Arts said the Firemint team was “remarkable for its critical and commercial success”. 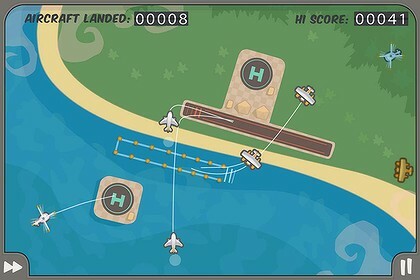 A screenshot of Firemint’s flagship game, Flight Control. Electronic Arts and Firemint have so far refused to disclose the financial terms of the deal, which is expected to close in four weeks. Murray, 37, was unavailable for an interview today. But in a blog posted late Wednesday evening, Murray said it was “business as usual” and that the team of 60 would remain in Australia and that he would continue to run the company. “We reckon that we make some pretty awesome games at Firemint and we reckon we know how to continue making them,” Murray said. A source with knowledge of Firemint’s sales said the company garnered $10 million in revenue a year and, based on this, tech industry investors believe the sale price would have been between $20 and $40 million. For Flight Control alone, in January last year Firemint announced it had sold 2 million copies at $1.19 a piece. A separate source with links to a major venture capital firm that invests in technology companies estimated the company sold for between $25 and $100 million. “They’ve got 60 people so they’d be costing at least $150,000 a head for sure. If there’s 60 of them, that probably means they’re spending $9 million a year at least in costs; if you assume that they’re making at least $9 million a year in revenue, even just on a revenue multiple of four or five times you imagine it’s somewhere between $25 and $100 million, depending on how crazy Electronic Arts were for it,” the source said. Murray started Firemint in 1999 after he graduated from the University of Queensland with an engineering degree. 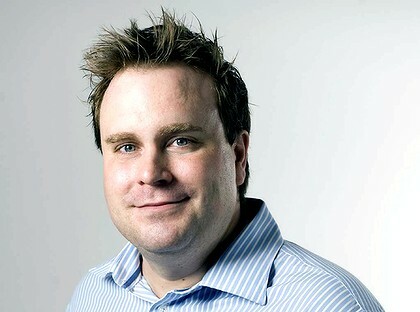 He initially did programming work for other firms until he discovered the iPhone and its lucrative app store. The Firemint acquisition caps off a stellar 12 months for Australian technology entrepreneurs. In July last year, Australian tech whiz Andrew Lacy made millions after selling his game app start-up Tapulous – responsible for the hit Tap Tap Revenges series – to Disney. He had previously been sleeping on the couch of another Silicon Valley entrepreneur. The same month, Australian enterprise software makers Atlassian, whose founders Mike Cannon-Brookes and Scott Farquahar met at the University of New South Wales, raised $US60 million after selling a minority stake to a large US venture capital firm. They started the company in a Sydney garage on a $10,000 credit card debt. The same US venture capital firm, Accel, invested between $70 and $110 million in the Australian online foreign exchange payments service OzForex in November. Last month, Accel also invested $35 million in the Australian crowdsourced design site 99designs. This month, it was revealed that online discounts giant Groupon acquired Melbourne-based group buying site Crowdmass for an undisclosed sum. It comes after Yahoo7 in January acquired group buying site Spreets. “It’s awesome for the Australian industry – it’s a great validation of the technology we’ve built. If you look at the five or six major deals over the last 12 months, they’re all at least eight figures, probably some of them into the nine figures,” Cannon-Brookes said. IS CHEATING IN GAMES OK?